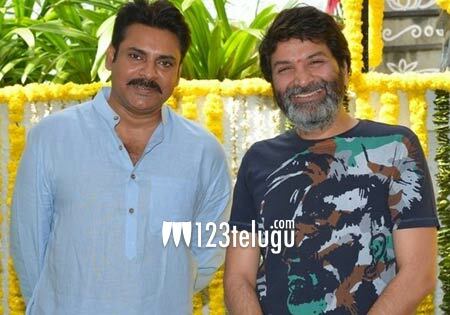 From the past few months, fans of Power Star Pawan Kalyan have been eagerly waiting for the title announcement of their favorite actor’s landmark 25th film. Numerous titles have been doing rounds on social media ever since the project went on floors. Now, as per the ongoing buzz, the first look poster of this highly-anticipated biggie will be unveiled on September 2nd on the occasion of Pawan’s 47th birthday. This film is being directed by the maverick Trivikram and it stars young beauties Keerthy Suresh and Anu Emmanuel. Anirudh Ravichander is the music composer and S Radhakrishna is the producer. The movie is rumored to be hitting the screens for Sankranthi 2018.